*** SHOOTING QUASAR DRAGON *** MINT/NM ULTRA RARE LIMITED LC05-EN005 YUGIOH! All cards are in near mint or better condition unless specified. All cards are of common rarity unless specified. Card edition (1st vs unlimited, etc) may not match what's pictured. You will receive the below. 1x shooting quasar dragon. 1x where arf thou?. EXTRA DECK Main Deck 2x call of the haunted. 2x breakthrough skill. 1x needlebug nest. 1x hand destruction. The card is in lightly played condition. s when applicable. Shooting Quasar Dragon - JUMP-EN055 - Ultra Rare PL Yugioh Promos Yu-Gi-Oh! Shooting Quasar Dragon - JUMP-EN055 - Ultra Rare. Played English Yugioh Card. Shonen Jump Promo. Other CCG's. Mint/NM= Near Mint - these cards will have little to no visible play wear. Near Mint Shooting Quasar Dragon - JUMP-EN055 - Ultra Rare - Limited Edition, x 1. You will receive x 1, Shooting Quasar Dragon - JUMP-EN055 - Ultra Rare - Limited Edition card(s) similar to image above. Yugoih Shooting Quasar Dragon - Ultra Rare - Promo Card from Legendary Collection 5Ds. Availability: PreOrder (Available 10/24/14). YuGiOh Shooting Quasar Dragon - LC05-EN005 - Ultra Rare - Limited Edition NM. Every consignor is assigned a code. 2014 Yu-Gi-Oh! Legendary Collection 5Ds - Collector's Set [Base] - Limited Edition. Search for more:2014 Yu-Gi-Oh! Legendary Collection 5Ds. #LC05-EN005 Shooting Quasar Dragon. Shooting Quasar Dragon - LC05-EN005 - Ultra Rare Limited Edition. Legendary Collection 5D's Single Card. Magic: The Gathering. Near Mint English Yugioh Card. Other CCG's. Yugioh Shooting Quasar Dragon LC05-EN005 Ultra Rare Limited Edition. Condition is New. Shipped with USPS First Class Package. Shooting Quasar Dragon - JUMP-EN055 - Ultra Rare NM Yugioh. Condition is Used. Shipped with USPS First Class Package. Near Mint Shooting Quasar Dragon - LC05-EN005 - Ultra Rare - Limited Edition, x 1. 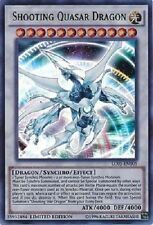 You will receive x 1, Shooting Quasar Dragon - LC05-EN005 - Ultra Rare - Limited Edition card(s) similar to image above. This is a 48 card Synchron Deck. Accel Synchron (Super). Mono Synchron (Rare). 2 x Quickdraw Synchron. 2 x Fleur Synchron. Hyper Synchron. Drill Synchron. Nitro Synchron. 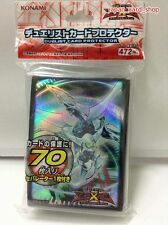 Appeared Yu-Gi-Oh Zearu OCG Duelist protector shooting quasar Dragon! We could NOT take any liabilities nor responsibilities for injury, sickness, and all the other inconveniences caused through usage of products. Shooting Quasar Dragon. VIEW ALL YUGIOH CARDS. You MUST use this label. YOU MAY ALSO LIKE I may have more copies of this card. Northern Card Gaming. This may leave it unable to be used in sanctioned play. Good:The card may have scratches/edgewear or small dents. Light Play: Cards in Lightly Played condition may have minor border or corner wear, or even just slight scuffs or scratches. All Yu-Gi-Oh! Mint/Near-mint: Cards in Near Mint condition show minimal to no wear from shuffling, play or handling and should have an unmarked surface, crisp corners, and unblemished edges outside of minimal handling. English Title:Shooting Quasar Dragon. Rarity:Ultra Rare. Our Products are 100% Authentic. 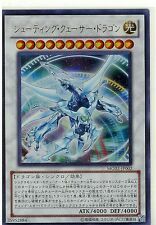 This item is " MG03-JP002 - Yugioh - Japanese - Shooting Quasar Dragon - Ultra". Worldwide Free 1-2 weeks. Shooting Quasar Dragon. YuGiOh "Master Guide" From. this card is removed from the field, you can Special Summon "Shooting Star Dragon" one body from the extra deck. star 12 / light attributes / Dragon. [ Li-ion Battery ]. We do our best for you!! [ Other Carrier ]. (it might be more than a month). [ Release Date(yyyy/mm/dd) ].